Find clubs, arts and cultural centres, concert initiatives, festivals and other organizations in Flanders and Brussels presenting and supporting jazz. Other Belgian venues will be added in the course of 2018. Please contact lobke@kunsten.be if you want us to add a certain jazz venue to the map. See also http://jazzinbelgium.com/ldh/live_jazz/live_jazz for more jazz spots in Belgium, or www.jazz.brussels for jazz placs specific for Brussels. 30CC is the cultural centre of Leuven, one of the oldest and most beautiful university cities of Europe. We do more than 300 productions on yearly basis. We focus on jazz, modern classical and world music, and each year in March we organise Leuven Jazz Festival. Name dropping: Fred Hersch, Bill Frisell, Phronesis, Oddarrang, Bugge Wesseltoft, Adhd, Avishai Cohen Quartet, De Beren Gieren, Melanie de Biasio, LABtrio, Brussels Jazz Orchestra, Ben Sluijs Quartet, Ruben Machtelinckx, ... We have 5 venues spread out of the city centre. All seated including a church. Member of Limburg network Motives For Jazz – This cultural centre organises jazz concerts in one of the most beautiful small concerthalls of Belgium: de Academiezaal. 250 up to 2000 capacity hall presenting the best in jazz within a broad musical context. BOZAR organises concerts, high profile international exhibitions, cinema, theatre, dance, literature, architecture and educational activities in the splendid Centre for Fine Arts, designed by the Belgian architect Victor Horta. Classical music, world music and jazz: productions of the very highest standard and with a cosmopolitan vision give voice to Brussels’ cultural ambiance. Culture Centre at the Flemish coast organising 4-5 jazz concerts yearly. Combine a jazz concert with a walk on the beach! De Kern is a theater plus concert hall, which with its varied programme, functions as the beating cultural heart of Wilrijk. Dynamic culture house in the heart of Waregem, with a classical concert hall and a cosy club. Cultural centre with an ear for jazz and a biennial festival ‘Jazzontspooring’. We have a theater hall with 385 seats and a club for 300 people. Music, theatre, expos, workshops & comedy. MUZE is pure culture! In addition to its regular broad urban cultural programme CCHA organizes two festivals with room for jazz: Nordic night(s) at the end of October and Piano day(s) at the end of March. With its two venues (cap. 870 and 350) and shows on location CCHA reaches approx. 70.000 visitors each year. Les Chiroux, the Liège Cultural Center, programs concerts within its own theatre-stage or in other locations nearby, of local, national or foreign artists. In the programming, a special attention is paid to young audiences and families. The theater at Les Chiroux is intimate and cozy, the perfect place for acoustic concerts or concerts with lower sound level, in various sectors: jazz, folk, "world" music, classical, electro-acoustic… It’s the perfect place for programming «listening music »! Situated in the European district of Brussels, le Senghor is a cultural centre taking care of an amazing hall from the early 20th century with a capacity of 230 seats. Each year, we set up about 20 World Music and 4 Jazz concerts; we also have a yearly jazz festival called River Jazz, being held in three venues of the city in January. Welcome to Citadelic Festival, an offshoot of Jazz Sur l'Herbe and a festival that is highly committed to improvisation and performance of any kind... Citadelic Summer is a free family event in one of the nicest parks in Ghent, near the museums, where you can relax, listen to music and have some refreshments or food from the El Negocito stall. UNESCO City of Ghent, S.M.A.K. Museum, Q'Onda? vzw and el NEGOCITO Records have been making sure that the SMAK in Ghent does not only offer a taste of contemporary art, but also a splash of improvised music, with challenging sounds from home and abroad. Cultural Centre programming a wide variety including jazz, with cultuurcafé (capacity 120) as jazz stage. Concert venue for classical, contemporary and jazz. Every ast Thursday of the month, Arne Van Coillie Trio invites a different guest from Belgium or abroad. Free entry! Club offering a platform for jazz, improvised and experimental music, with a seated capacity of 150. Venue presenting concerts ranging from jazz, world to pop/rock and classical music. Aside from the big theatre, there’s a smaller second stage. De Spil also co-organises Roeselare Jazz Festival. Cultural centre with club atmosphere and a capacity of 200. "An old barn turned into a fantastic jazz club since 1981 that has now become internationally famous." One of the leading cultural venues in Brussels, Belgium. Jazz, classical music, daily cinema, conferences and kids activities. In iconic art deco building. Gaume Jazz Festival / Jeunesses Musicales du Lux. Multiday festival in the gardens of Bijloke (Ghent), with both internationally renowned names as well as upcoming talent from our jazz scene. Concert venue programming Jazz, world music and classical music, which can host seated (400), standing (800) as well as cosy club concerts. Open for adventure and experiment. Heptone is a jazz club in Ittre about a hundred seats. This association organises concerts every Sunday (except during public holidays) between 5 and 7 pm. Honky Tonk is an international reference for jazz, in particular old style jazz, but also roots oriented music in general. Jazz in ’t Park is a free jazz festival exclusively dedicated to promote Belgian jazz and is one of the biggest Belgian jazzfestivals with over 10.000 visitors each year. LET'S PLAY SOME JAZZ! ​Jam sessions for jazz musicians, enthusiasts and pros, young and old. 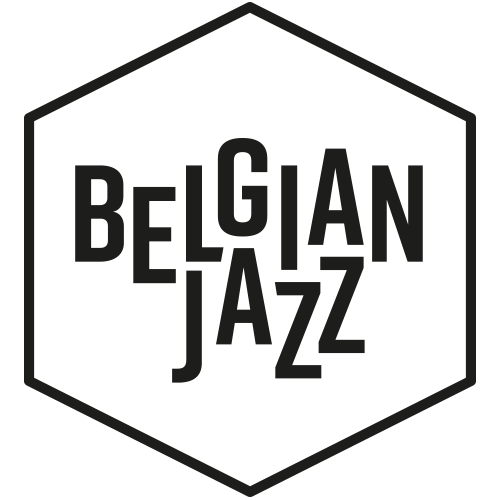 One of the oldest jazz festivals in Belgium, originated as broadcasting festival of the then BRT, that doesn't only cater for the real jazz addicts, but positions itself as a broad family event in a cosy atmosphere. JAZZ4A wants to support and promote jazz music to a wider audience by organising concerts and jam sessions with both established names and upcoming talents, and by offering workshops and lectures on jazz. JazzCase is a stage which focuses on the experiment in jazz, the adventure, the avant-garde, without neglecting the rich tradition of ‘classical’ jazz. Jazz society gathering twice a month for lectures on jazz, with concerts twice a year. Professional network for Belgian jazz. Keep in touch with the best of Belgian jazz with the tours of JazzLab Series! THE Flemish magazine for jazz, appearing 4 times a year. Four to five times a year, you can enjoy a Belgian top jazz band in the courtyard or distillery room. Arts Centre active in 2 cities (Bruges, Ostend). Focus on creation, presentation and production (W.E.R.F.-label). Known for their 5pm jazz after-shopping on Saturdays as well as last-minute live announced concerts. One of the most inspiring places in Belgium to create and listen to jazz and improvised music. A beautiful location to experience music and a place where musicians feel at home. Quality, hospitality and sincerity are what makes each concert at La Conserve one not to miss. Ferme du Biéreau is recognised as one of Wallonia’s finest venues. The superb renovated barn (capacity: 500) sounds just great according to the many artists who played there in the last 10 years. Ferme du Biéreau sits in Louvain-la-Neuve, 30kms away from Leuven, Brussels and Namen. Every month Jazz4you organises jazz concerts in this beautiful renovated farmhouse. They have regular live concerts and bring jazz to the stage once or twice a week. A unique and welcoming place where you will have the pleasure to discover superb musicians and artists. Whether you enjoy blues, world music, jazz, ... you will get an eclectic choice filled with positive vibes. This Italian restaurant puts on concerts in their vaulted cellar since 20 years already! Once a month you can enjoy a self-served cold and warm Italian buffet full of colours and flavours followed by 2 sets of jazz music. Mainly swing, mainstream, hard bop or classical jazz. Cultural, corporate and private events venues and services. Every last Sunday of the month live jazz in one of the quaintest pubs in Hasselt. The Charliermuseum, a 19th century mansion remodelled by Victor Horta, has something of the atmosphere of an opulent private gallery. Belgian alternative music club since 1979! Multi-genre music centre since 1993. A cosy jazz bar in Brussels centre. Jazz concerts every Sunday night at 20h00. Free entrance! Weekly jam sessions on Tuesdays and regular live (jazz) concerts on other days. The jazz programme’s name says it all: it offers the opportunity to study jazz and it stands for creativity, inventiveness, originality and innovation, dynamism, intensity, passion, integrity, honesty and respect. A legendary place in Ixelles where different generations of local jazz musicians present new work before hitting the bigger stages. Every Sunday we organize a free jazz concert in the café of STUK. The most central and traditional jazz club that has a diverse programme and offers meals and cocktails during concerts. A cosy theatre which regularly brings jazz to the stage in a warm and friendly atmosphere. Travers Emotion has been programming concert since 1978 from Jazz, blues as well as classic. The most important event are two festivals : Les Sentiers de Sart-Risbart.be (4 days of cosy concerts during August and fewer more during the year) Royal Park Music Festival.be (takes place on the 4 first Sundays of July under the Brussels Park's kiosk, just in front of the King's Palace) Throughout the season, Travers Emotion organizes concerts in Sart-Risbart in different venues.